The fired FBI deputy director Andrew McCabe told his former colleagues, “the country needs you” in an opinion column published by The Washington Post on Friday. McCabe described in detail what he called a “nightmare” ending to his 21-year career with the agency, which came last week when Attorney General Jeff Sessions put him out, just hours before his retirement. Former deputy FBI director Andrew McCabe told his former colleagues “the country needs you,” in an opinion column that was, by turns, defensive, resigned, emotional, and resolute on Friday night. The column, published by The Washington Post, encapsulated McCabe’s first extensive public remarks on the tumultuous end to his 21-year law-enforcement career, which concluded with his firing, just hours before he was set to retire. McCabe talked about the night of March 16, when he learned of his firing through a friend who had seen the headline on the news. The dismissal left him feeling “sick” and “disoriented,” as it happened following months of public attacks from President Donald Trump. Officially, McCabe had been fired for “lack of candor,” as Attorney General Jeff Sessions described it in an official announcement. The matter centered around McCabe’s handling of media disclosures during the 2016 investigation of Hillary Clinton’s email use. McCabe acknowledged that he made some missteps, but asserted that he tried to correct them. 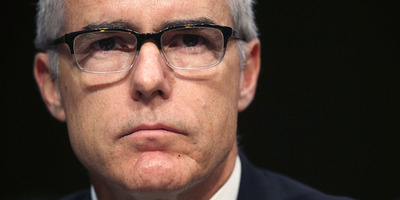 But McCabe said he believes his dismissal – and that of James Comey last May – was the result of “unprecedented attacks on us by the president and other partisans.” Trump had publicly railed against McCabe and taunted his wife for months, accusing them and others in the bureau of engaging in a conspiracy to undermine his presidency. The former deputy director urged members of the federal law-enforcement community to disregard such attacks on their integrity. He said their mission to protect and defend Americans “honestly, justly, and fairly” is among the highest of callings.